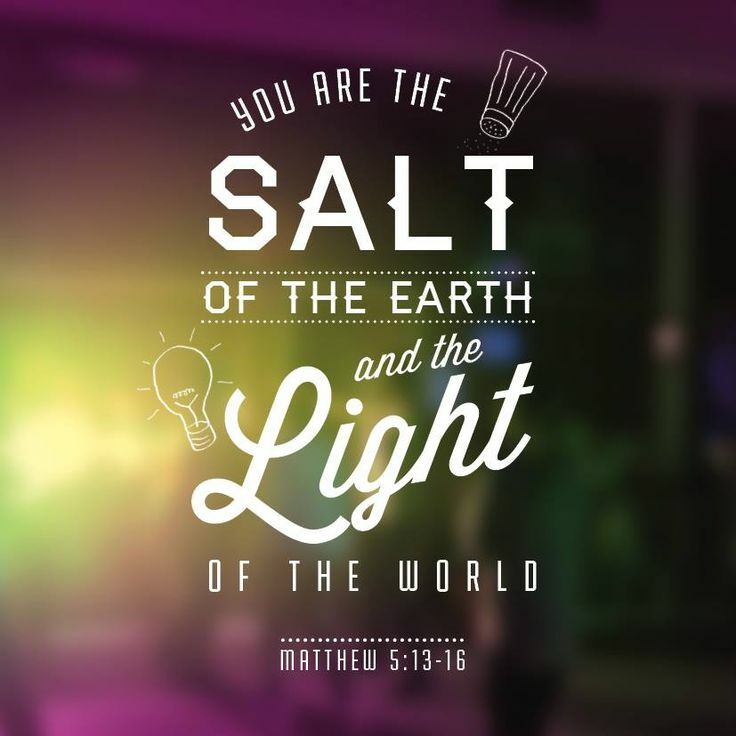 Scripture tells us that you ARE the salt and light of the earth. These are spiritual characteristics of a Christian. And while being the salt and the light of the earth are in your spiritual genetic make-up, it will not be effective unless you activate those things within your life. You have to go from spiritual knowledge to actually becoming who scripture says you are. Why are you here? To be the “seasoning” that brings out the flavors of God to the world. But what happens if you lose your saltiness? You become useless and pretty much garbage. Scripture tells us that useless salt is only good to trample underfoot. Imagine roasted potatoes hot and fresh off the stove and they look delicious, but when you taste the potato it taste bland. So you reach for the salt because your expectation is that the salt will enhance the potato and pull out all of the hidden flavors. You have that expectation because you know the purpose of the salt. Now imagine your disappointment if after you sprinkle the salt, you taste the potato again and discover the salt is old and has lost it’s saltiness. The same is true of the witness of Christians to unbelievers. Your life should be lived in such a way that you PULL out all of the God-flavors on how to live in this earth. When unbelievers see you they should have the EXPECTATION that you will enhance their situation or life, but oh if you have lost your ability to season others then you are useless. The Word of God also tells us that you are the LIGHT of the earth. You are basically here to illuminate and bring out all of the colors of God in the world. We should not keep God a secret from others. If all of the power went out on a stormy night and you reached for a flashlight, you would expect it to illuminate the room. You wouldn’t turn the flashlight on and then put a bucket over it, right? Well the same is true for you as a Christian. You are the light of the world. You shouldn’t get saved, grow in Christ and never share His goodness with others. There are people who are living in darkness daily and you should shine the light of Christ to them in your Christian walk. You can do this by sharing your testimony, being generous with your time, talents and treasures. By opening up to others, you will prompt them to open up to God. Today, I’m challenging you all (myself included) to go from intellectually knowing you are the salt and light to actually BEING the salt and light of the earth. You may be the only Bible someone “reads”, so live in such a way that you bring flavor and light to their life.